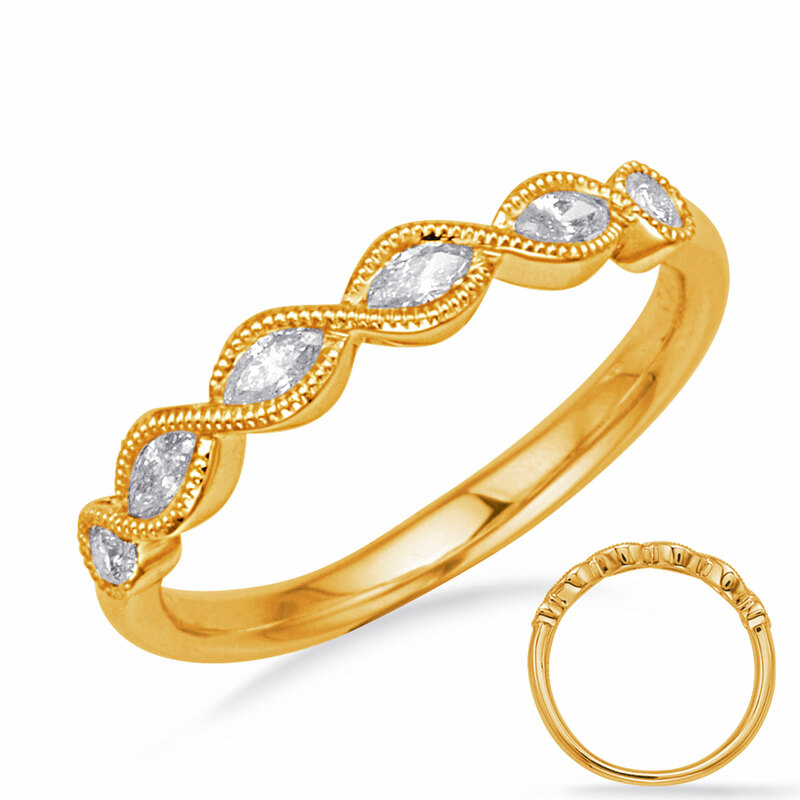 This band is available in 14K Yellow Gold. There are a total of 6 stones. There are marquise diamonds with a total carat weight of 0.22ct set in a Bezel Set setting there are round diamonds with a total carat weight of 0.04ct set in a Bezel Set setting.